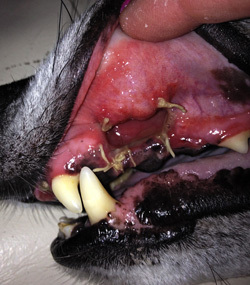 We were presented with a patient that had significant root exposure in one of its upper canines. 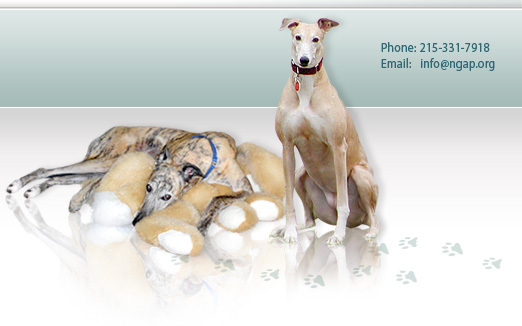 For a greyhound this is not unusual the canine is an extremely long tooth and the uppers are either dangerously close or close to the nasal cavity. As part of the protocol we used a probe to check pocket depths which gave us some sense of how much attachment that tooth had to the jawbone. As it turns out, there was almost nothing holding this tooth in. There was very little attachment and much of the tooth behind the gumline had separated from the jaw. When dentals are being done whether at NGAP, DRVC or anywhere else, you want to ask if they use probes or x-rays to determine pocket depth because using a probe is much easier and quicker to get an immediate answer. 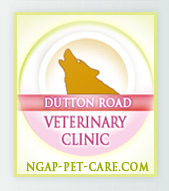 Shown below is the front side of the canine. The first line is where the enamel ends, the second line shows where root exposure ended, beyond that, the areas that are white have some attachment and the areas that appear brown were not attached at all. 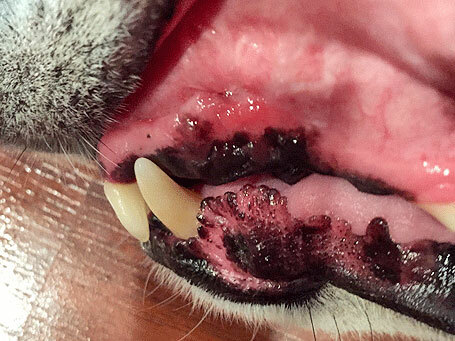 This particular dog may have had significant tartar buildup which will often hide root exposure and not give you a true sense of how bad the teeth actually are. 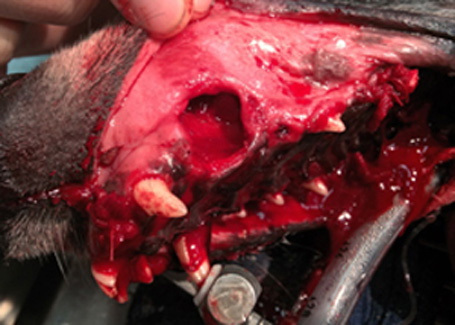 You can see in the photo that there is a gaping hole in the dogs jaw. We did virtually nothing to create that hole, it was simply that there was no attachment of the tooth to the jawbone. The plaque and tartar surrounding it were primarily holding the tooth in place. 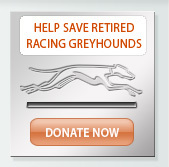 Remember the #1 impactible health issue for your greyhound is its mouth. Above: Cole's mouth, nine months later.